The Semacon S-960 Automatic Counterfeit Detector With Battery saves time and money. 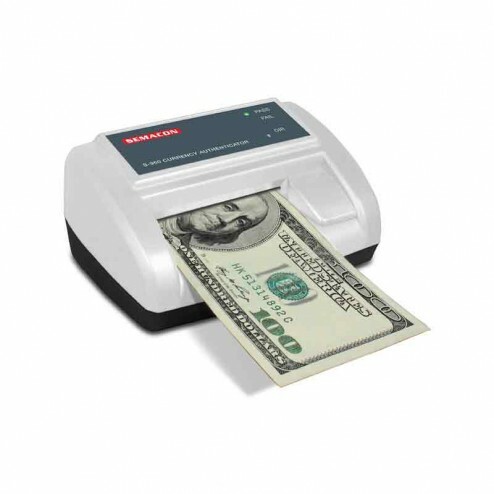 The Semacon S-960 Cordless Automatic Counterfeit Detector was designed with state of the art measurement sensors and Semacon's SmartCert banknote analysis technology for the advanced detection of US counterfeit banknotes. These machines are used by government and law enforcement agencies, banks, credit unions, casinos, retail stores and other industries. They feature compact size, heavy duty construction, accuracy and ease of use. They may be operated using the power cord or the internal rechargeable battery.